Cabo has a home! - Rocky Mountain Great Dane Rescue, Inc. This sweet boy has stayed at home with his foster family Cheri. This adorable boy fit right in as if he went on vacation for a bit and came back home. 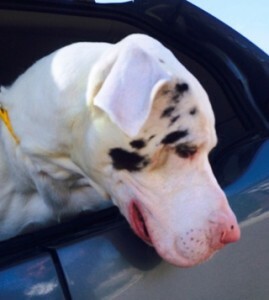 Cheri’s been waiting to have a Dane back in her home for some time now…and Cabo fit the bill!!! Way to go Cabo!